How Many Names Does A Red Drum Go By? 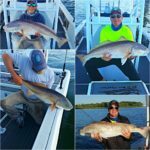 The Atlantic States Marine Fisheries Commission states that “Red drum are one of the most recreationally sought-after fish throughout the South Atlantic, with the majority of Southern states reserving red drum harvest strictly for recreational anglers”. Red drum is a game fish found in the Atlantic Ocean from Massachusetts to Florida and in the Gulf of Mexico from Florida to northern Mexico and inhabit nearshore and offshore waters. It is the only species in the genus Sciaenops. Juvenile red drum inhabit rivers, canals, tidal creeds, bays and passes in estuaries for up to four years. Why are they called Drum? Red drums are named after the “drumming” sound they make during spawning and when taken out of the water. Their muscles rub against the inflated air bladder to produce the sound. Red drum are present in South Carolina’s Low country waters year-round. The beginning months of summer and winter are the easiest times. It depends on the water temperature. By May, the water warms up bringing the bait which brings the red drum in. Then in November, algae and plankton die in the water increasing the visibility. You can see the large schools of red drum coming inshore. The good news is there is no closed season. Red drum can reach lengths of 45 inches and weigh up to 51 pounds. Caught off of North Carolina waters in 1984, the world record red drum weighed 94 pounds, 2 ounces. The South Carolina State record was set in 1965 of 75 pounds. “Red drum may reach 60 years of age and 60 inches in length”, according to Atlantic States Marine Fisheries Commission. How do you catch one? Live bait is a perfect way to catch red drum. 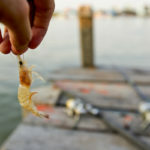 Floating a live shrimp under a popping cork is a good way to fish for them. They also chase mullet, croakers, menhaden, spot, pinfish, sardines, blood worms, crabs and killfish (mud minnows). Casting spoons, soft-bodied jigs and top-water plugs are used to lure them. 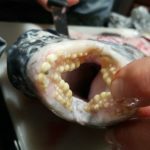 What does Red Drum taste like? The Cooking Fish Monger describes a red drum flavor as “a mild, sweet flavor with a medium-firm texture. Not a steak texture like Shark or Swordfish and not as flaky as say a Flounder. If you have ever had Red Snapper the texture is about the same. Red snapper is also a good fish to compare taste to, very similar”. 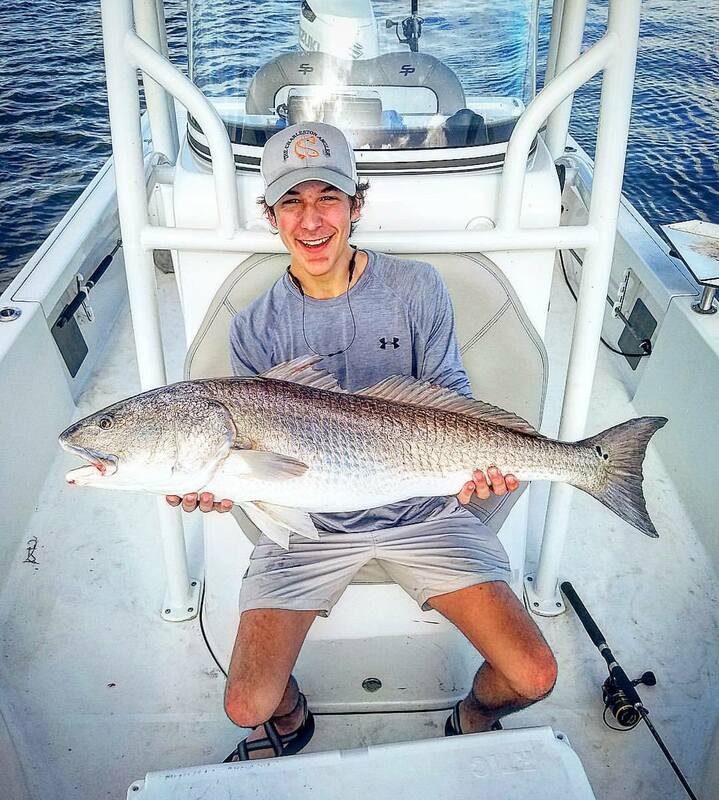 Book your next fishing charter to catch red drum today! 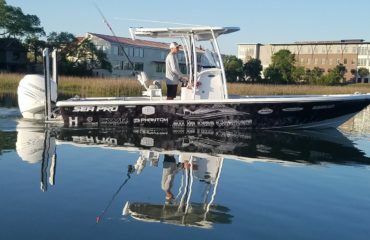 Step on board with All In One Charters; Charleston’s top inshore fishing charter company. 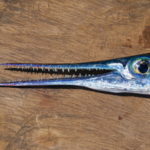 We specialize in customized inshore fishing charters; as well as nearshore, and offshore fishing. Join Capt. 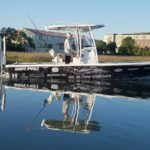 Ronnie for an action-packed day of saltwater fishing, exploring Charleston’s endless inshore waterways in search of top species like Red Drum, Trout, Flounder, Black Drum, and Sheepshead, as well as the chance of some exciting battles against big Bull Reds, or Hammerhead Sharks for some added adrenaline. 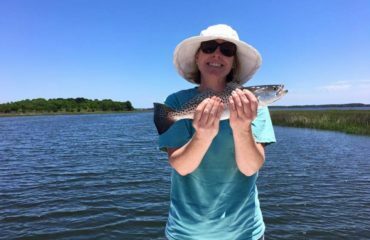 Book your fishing charter today or call at 843-330-3272. Did you Know that Spotted Seatrout are in the Drum Family? 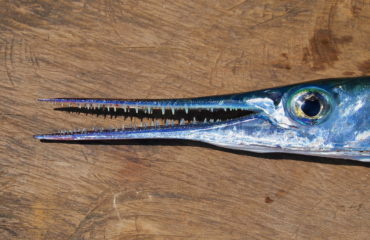 What Fish Beak Looks Like the Jaw of a Crocodile?